The first Monday of September is Labor Day, which means a three-day weekend to spend in San Diego. Get some ideas for things to do over Labor Day Weekend in California. This short list includes things to do in December in San Diego that I have experienced and recommended. Del Mar Races: Del Mar has been the place to see thoroughbred horse racing since 1937. Going to a race is lots of fun and if you go on a weekend, your admission price may include an evening concert. School starts in early September and it may feel like summer is over, but you'll still find plenty of events to attend and things to do all month long. Fleet Week San Diego: Held annually in September and October, this celebration of San Diego's military service men and women includes concerts, parades, and a big air show. Miramar Air Show: An annual salute to marine aviation, this show often features the Blue Angels. Free admission. 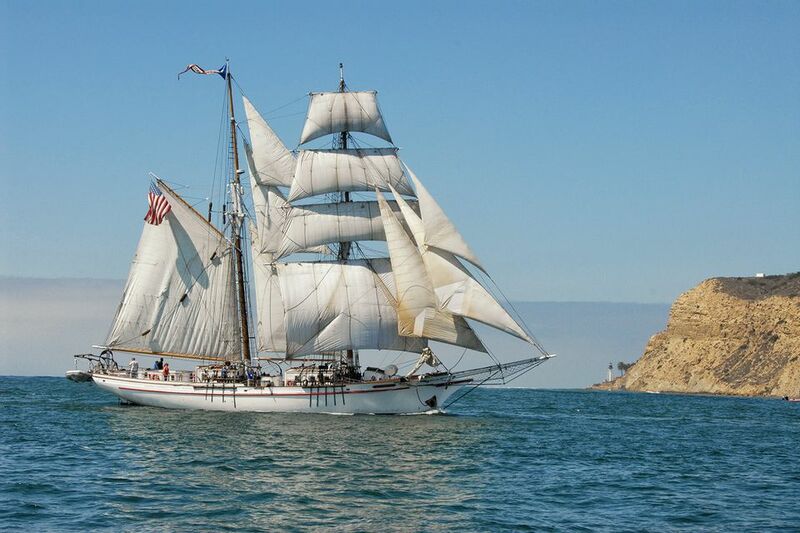 Festival of Sail: Every three years, a fleet of tall ships join the Star of India, Californian and other ships at the Maritime Museum for a big celebration. Humphreys by the Bay Concerts: Humphreys hotel hosts a fun outdoor summer concert series held on Shelter Island from June through mid-October. Old Globe Theatre: Mid-June through late September, they stage outdoor Shakespeare productions and other plays in a reproduction of his original Globe Theatre. Restaurant Week: January and September are great months to sample some of the city's nicest restaurants, with special tasting menus and prices. San Diego's best surf season is August through November. If you'd like a chance to catch a really big (and tasty) fish, June through October is the tuna sportfishing season. All you have to do is sign up for a free account with Goldstar to get access to discounted tickets for performances and save on some San Diego attractions. Even better, it's just as useful when you're at home as it is when you're visiting San Diego. For a look at local events, check the San Diego Union Tribune's entertainment section. The San Diego Reader keeps a big list of groups performing at local live music venues. Watch a Padres Game: The Padres' pretty downtown baseball stadium is a great place to watch a game. If you don't like them, go anyway and root for their opponents. September has some of San Diego's best weather, warm but with little chance of rain, with clear skies and little fog. If you want to compare these weather conditions to what San Diego is like the rest of the year, you can find that all in one place in the Guide to Typical San Diego Weather. The weather information we've given above is best used as a general idea of what things may be like. The only rain all summer could fall on your perfect picnic or a winter day could be so warm you'll wish you packed your shorts. Averages are helpful for planning ahead, but don't count on your trip being "average." Check the San Diego weather forecast before you leave home. There's little chance of rain in September, but evenings near the ocean can feel chilly. Bring a light to mid-weight jacket or extra layer to stay comfortable. Otherwise, you can wear short-sleeved shirts and lightweight pants, with an extra layer for cooler days and places, but you'll find you need fewer shorts than earlier in the year. Hotel occupancy is lower in September than it was in the summer. That makes it easier to find a good rate at a hotel in your preferred area. If you go to San Diego in January or in February, you may have beautiful, sunny weather - or not. One thing you can be sure of there won't be a lot of other tourists getting in your way. By spring, the weather starts to clear up and flowers start blooming. March is fine, but you can also check out San Diego in April or San Diego in May. Summer in San Diego starts out with foggy, cloudy days near the beach if you go to San Diego in June or sometimes even in July. By August, the fog clears up, but it's also one of the busiest months, with lots of families on vacation and Arizona residents looking to escape the heat. Here's what to expect from San Diego in August. Fall is one of the best times if you can plan to go to San Diego in September or San Diego in October. Holidays can be fun if you want to go to San Diego in November or San Diego in December.